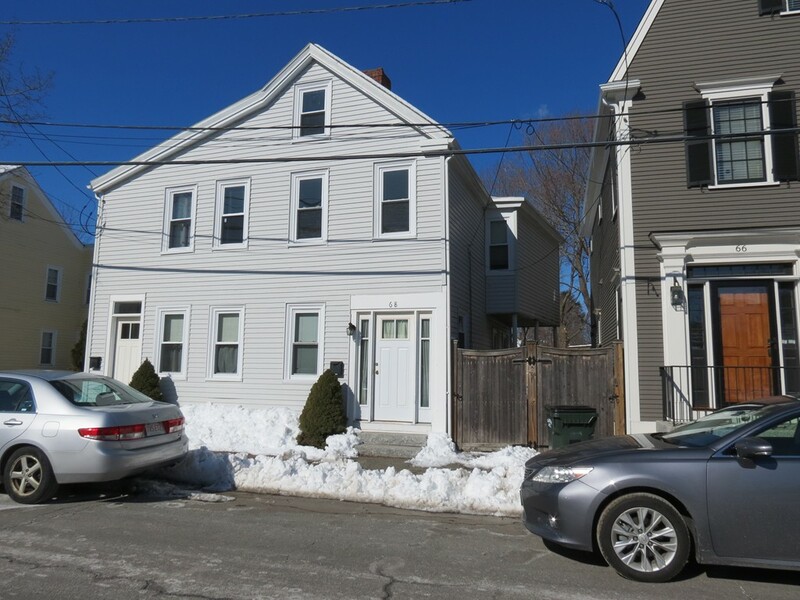 Come see this bright and sunny 2 bedroom 1.5 bath rental half house in the north end section of Newburyport. Fully applianced kitchen with a half bath attached. Large dining area with a great picture window and living area, both with hardwood floors. Two generous bedrooms on the second floor also with hardwood. Second floor full bathroom and has a washer and dryer. This rental is close to shopping, parks and other great amenities and is minutes to the highway and commuter bus and train station making for easy commute. No smoking in or around the premises. Tenant is responsible for snow removal and landscaping. 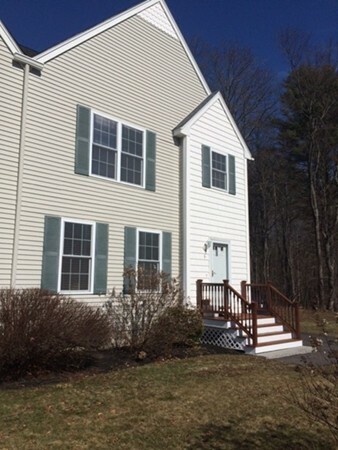 Come see this 3 bedroom home on a tree lined street in the Riverside part of Haverhill. First floor dining and living room have hardwood floors. Attached to this kitchen is a three season porch with hardwood floor. 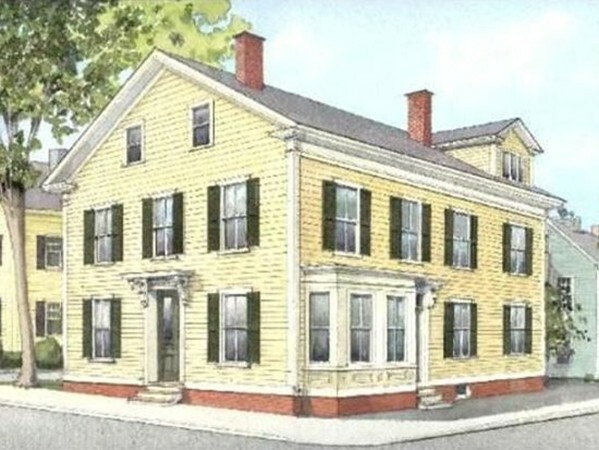 Second floor has 3 bedrooms along with a full bathroom with claw foot tub. Newer windows and roof. Needs updating, but well worth the effort. Sold "as is" Will not pass FHA. Open house Saturday (9th) 1:00 PM to 2:00 PM. 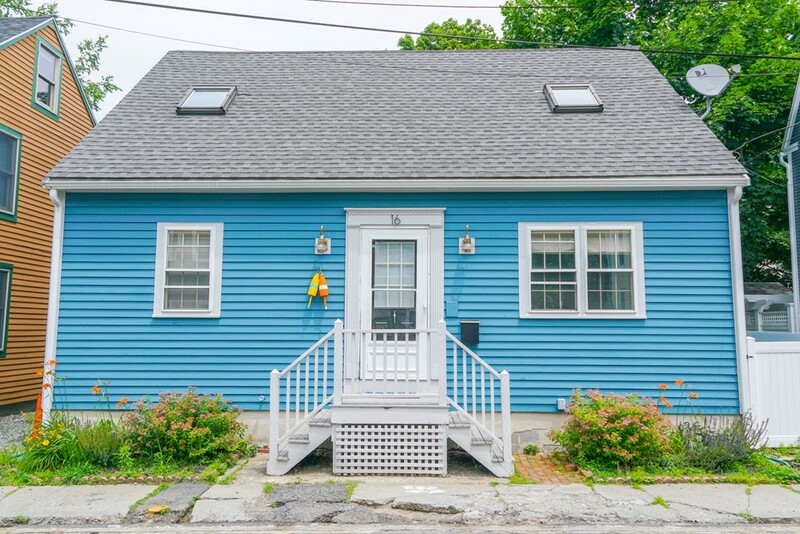 This great little half house, 2 bedroom, with it's own private yard and deck is located within close proximity to downtown, water front, sea wall, beaches, and all major transportation. The first floor consists of living room, dining room, and fully applianced kitchen. Pet friendly allowing small pets to walk right outside to fenced yard and spacious deck for your quiet enjoyment and entertaining with friends. Kayak in the beautiful and serene Merrimack River, swim at Plum Island's beautiful beaches and explore the exciting downtown of Newburyport. Off street parking across the street at the Brown school during snow emergencies. Laundry and storage space in basement. Open house Saturday (9th) 9:30-10:30. Sweet condo on the first floor for rent. Very private. One bedroom and hardwood floors throughout. 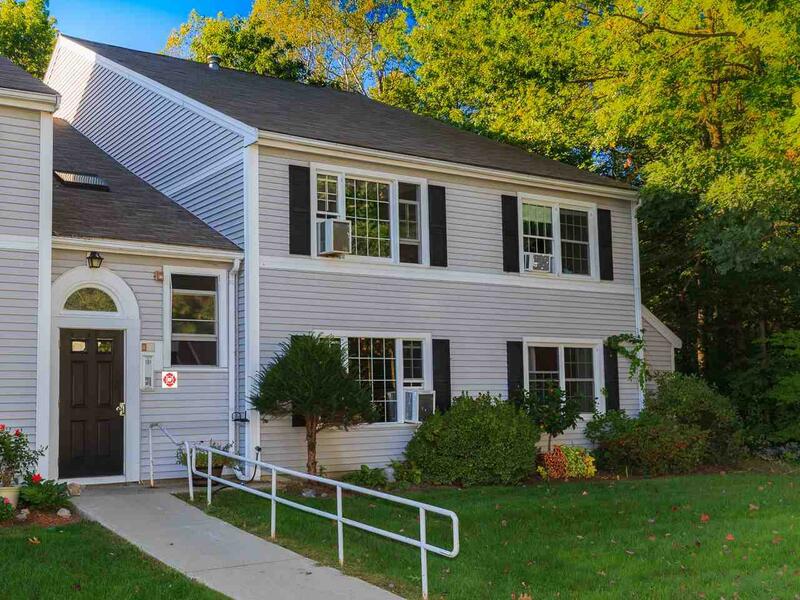 Large windows, crown moldings, Close to commuter rail and downtown and all Ipswich has to offer. Two deeded parking spaces. No smoking. No dogs. Welcome to Newburyport and all it has to offer. 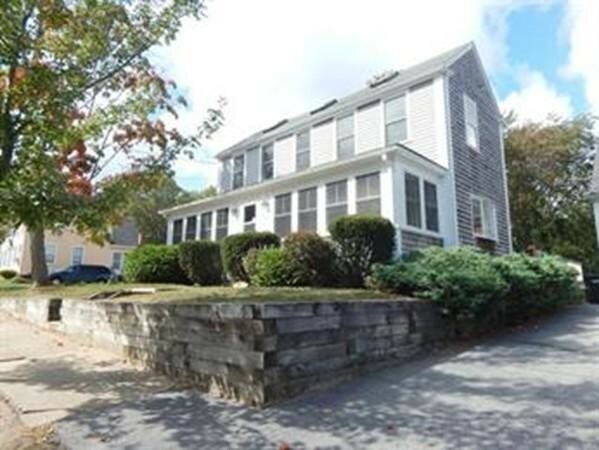 This one bedroom rental has been charmingly updated and is ideally located near the Bartlett Mall and Frog Pond, just blocks to downtown with its lively restaurants, shops, theaters and waterfront, and less than a mile to the commuter train station. This unit has one off street parking. It has one bedroom and one bath along with a in unit washer and dryer. It comes full applianced. Welcome to Newburyport and all it has to offer. 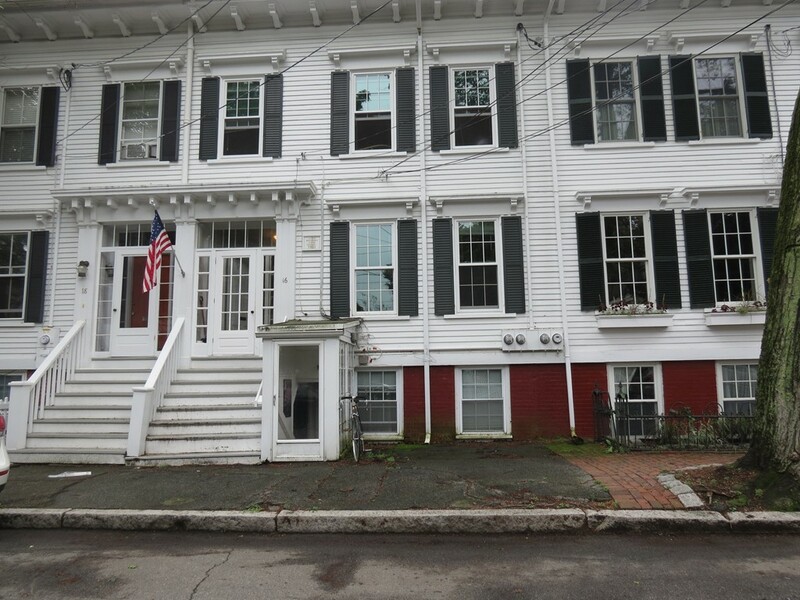 This two bedroom rental has been charmingly updated and is ideally located near the Bartlett Mall and Frog Pond, just blocks to downtown with its lively restaurants, shops, theaters and waterfront, and less than a mile to the commuter train station. This unit has one off street parking. It has one bedroom and one bath along with a in unit washer and dryer. It comes full applianced. 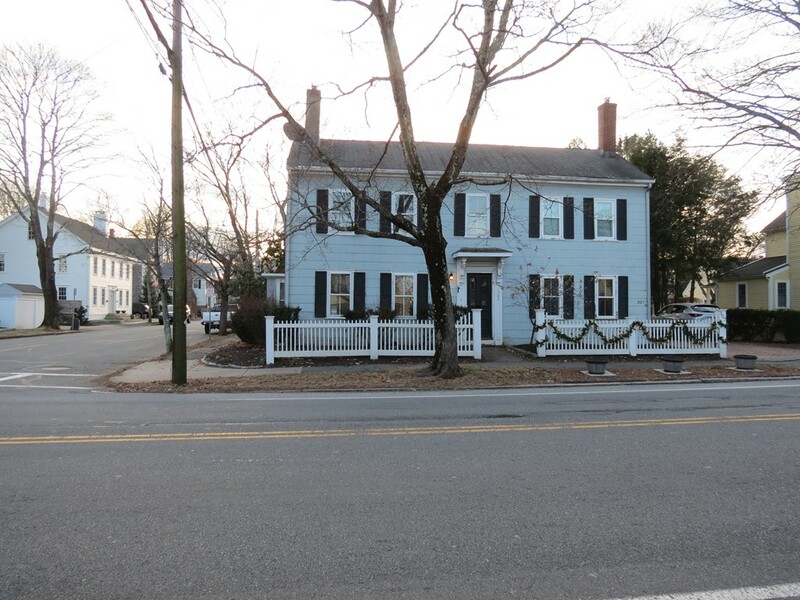 Location, Location, Location, 1 block from downtown Newburyport. First floor condo on side street that leads to some of the best shops and restaurants in this great city. The kitchen boasts ss appliances and has hardwood floors throughout. Private out door area for your own enjoyment with one much sought after off street parking. Bonus room in lower level could be used for office/den area. Washer/Dryer in the unit makes this condo easy. 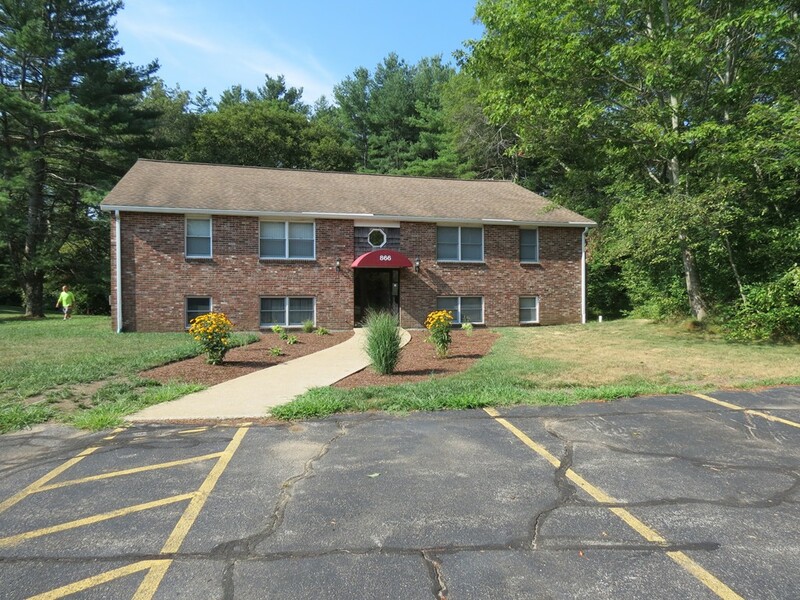 One deeded off street parking space is a major bonus for this close to town unit. 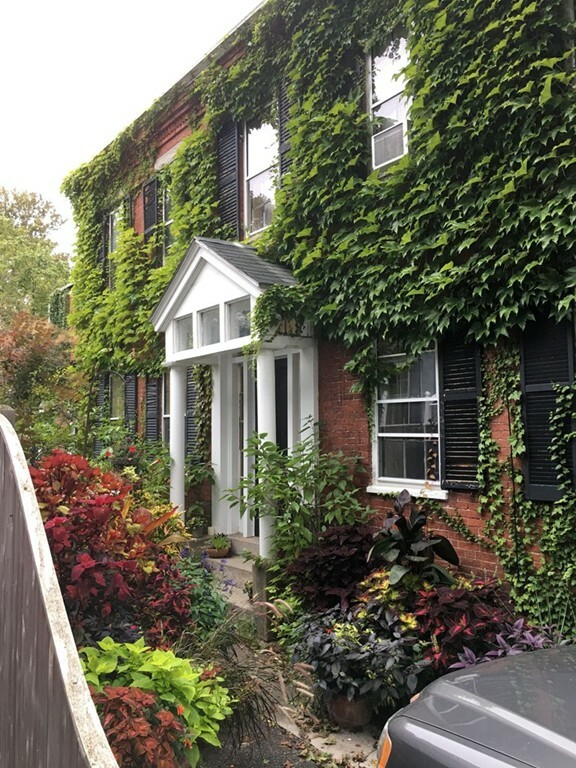 ~~ How sweet is this Ivy covered Brick Antique located just blocks from downtown Newburyport? This is a deeded as a sf but is attached. ~ ~ The lovely gardens have been featured on the prestigious Newburyport garden tour, there are two out buildings on the grounds, both needing work. This lovely property has not been on the market in over 22 years. Off street parking with 8 rooms (per town assessment) there is a ton of space for improvement. Estate sale, sold in "as is" condition. Buyer to do their own due diligence. 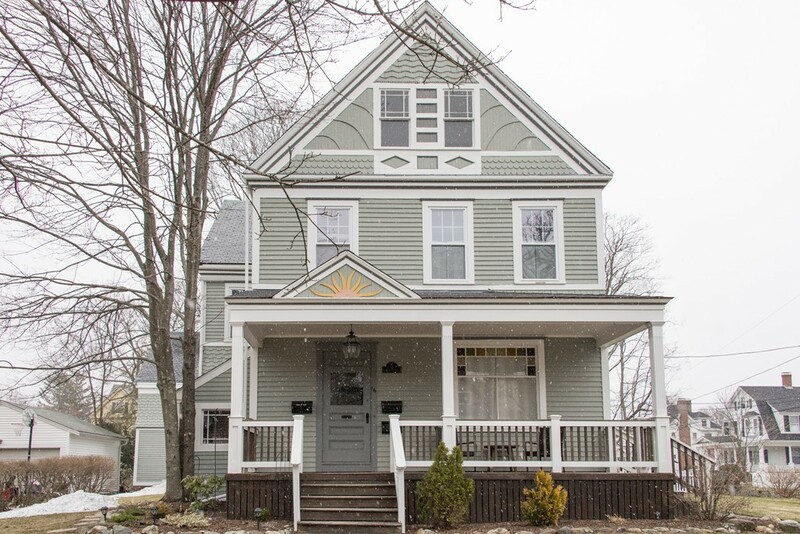 This rental is charmingly updated and is ideally located near the Bartlett Mall and Frog Pond, just blocks to downtown Newburyport with its lively restaurants, shops, theaters and waterfront, and less than a mile to the commuter train station. The unit has 8 rooms, 3-4 bedrooms, 3 full baths and 2 car off-street parking. There are hardwood floors throughout the first floor with a fireplaced living. Eat in kitchen with stainless steal appliances along with in unit washer and dryer makes for a convenient living arrangement. Great views from your third floor balcony off of the master bedroom. Two bedroom one bath unit. Newer appliances, counter tops, flooring. Fresh paint. No pets. No smoking in or around the property. Coin operated washer and dryer in building. 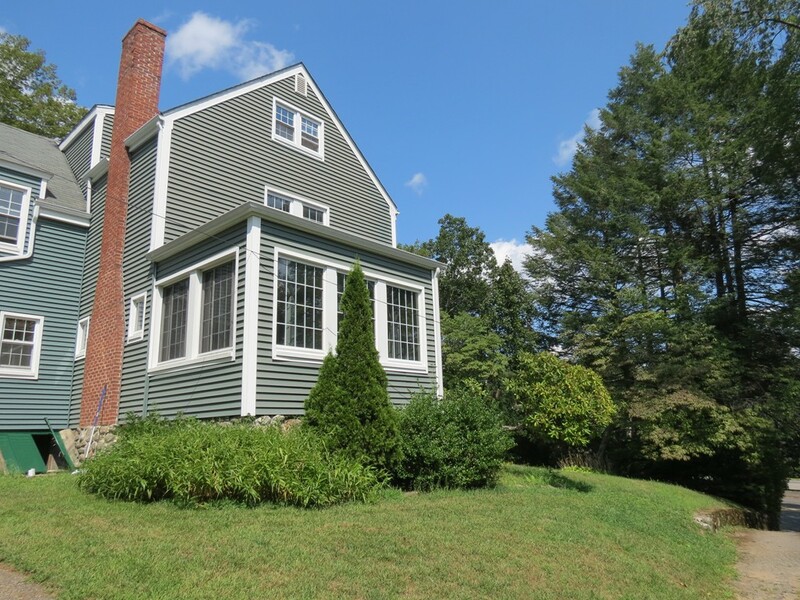 ** $150.00 deposit to the Town of Rowley for electric. Remodeled one bedroom one bath unit. New appliances, counter tops, flooring. No pets. No smoking in or around the property. Coin operated washer and dryer in building. 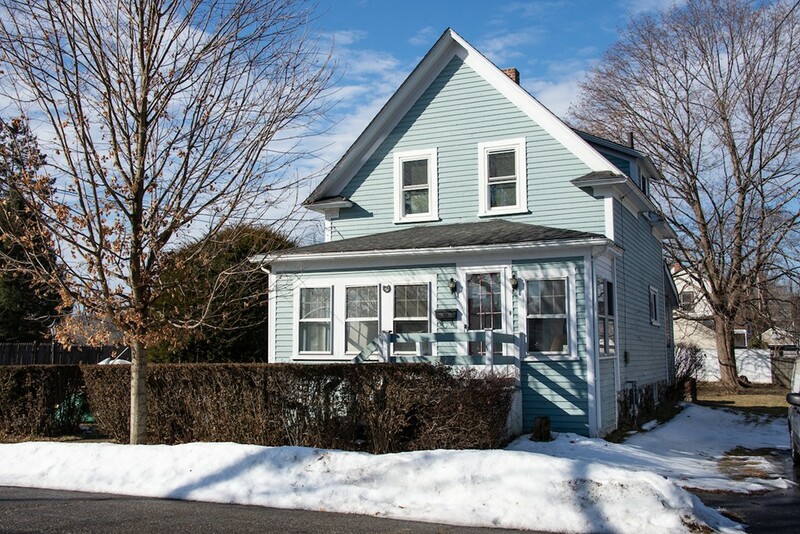 * $150.00 deposit to the Town of Rowley for electric. Great starter apartment. Great downtown location. New carpet. No pets. No smoking. No off street parking. This single family home is close to everything. Large open concept living/dining offers hardwood floors and a view of the expansive grassed yard. The kitchen has updated appliances and plenty of cooking counter tops. There is also a three quarter bathroom and first floor bedroom. On the second floor there are two bedrooms with fresh paint and new carpet and a full bathroom. There is a 1 car off street parking spot during snow emergencies. No smoking. Pets will be considered on a case by case basis. Bring your boat! 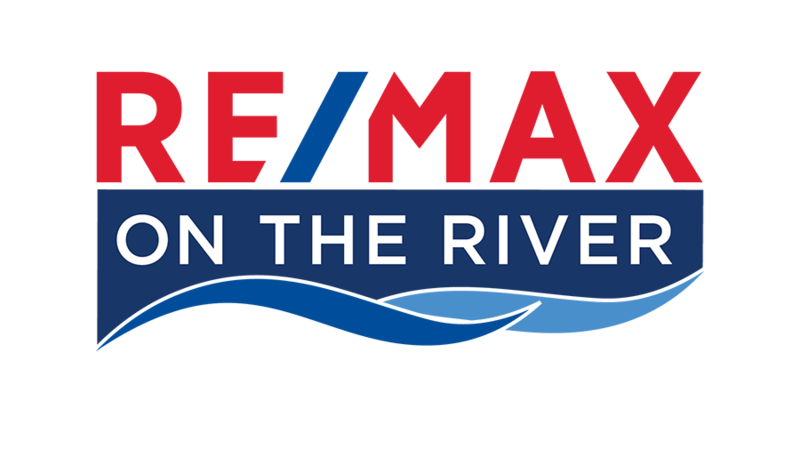 Direct Merrimack River Frontage with 25ft DOCK SPACE! 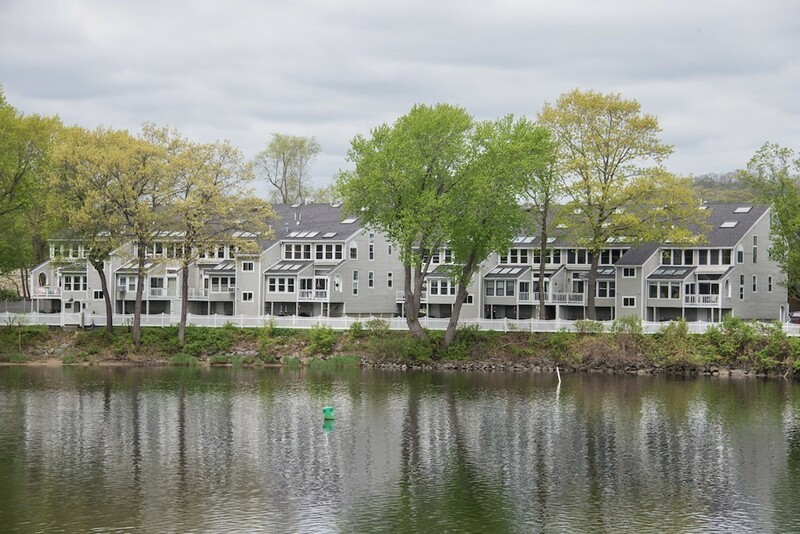 Open concept end unit with cathedral ceilings, skylights, and a wall of windows overlooking the Merrimack River. This spacious townhome with contemporary flair has 2 large bedrooms and 2 full baths. Beautifully maintained landscape with covered patio and gardens and 2-car under garage. Add your touches to truly make this your home. 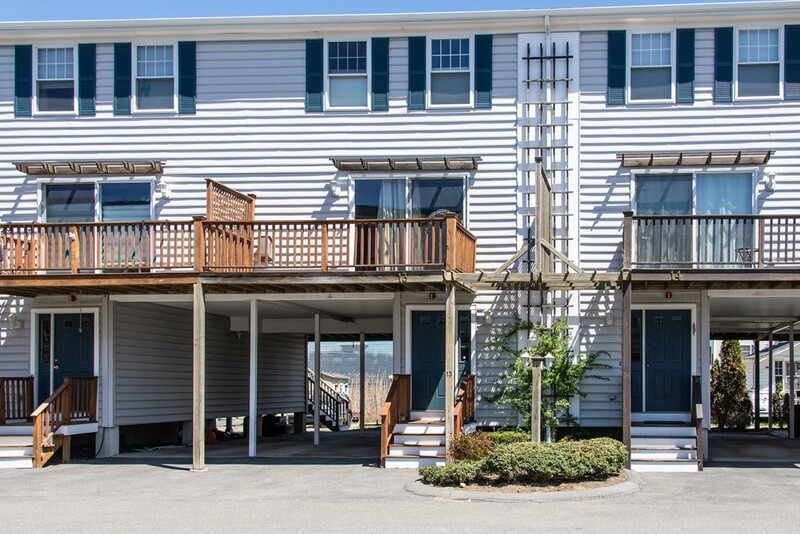 With breathtaking views of the Great Marsh, the Merrimack River and the inner harbor, this warm and welcoming home in the desirable Plum Bush Downs community is waiting for you. Open concept living with 3 bedrooms, pine floors and two decks. 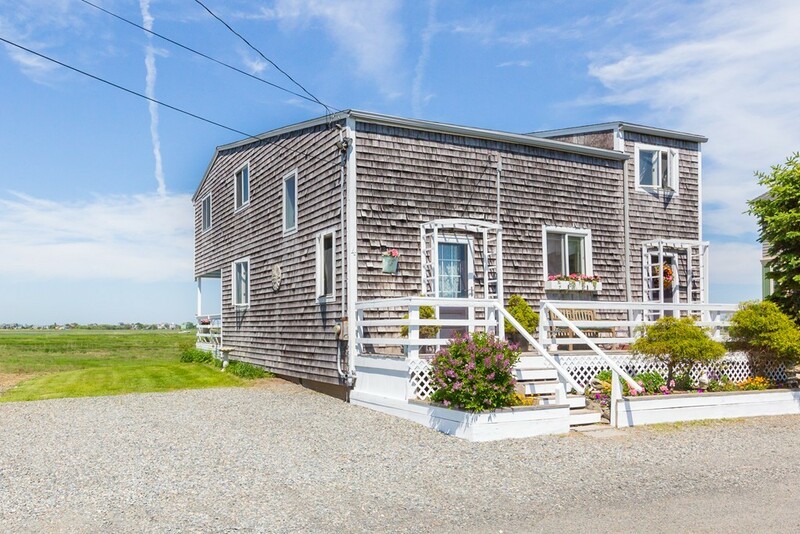 Ideal for the outdoor enthusiast and nature lover with immediate access to Plum Island and the Parker River Wildlife Refuge. 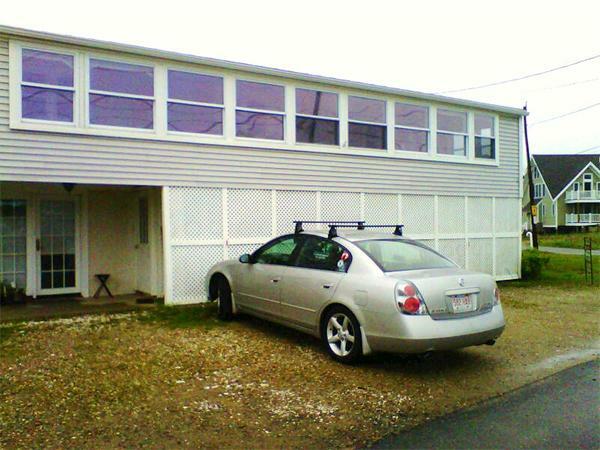 Bright 3 bedroom, 2 full bath townhome located at Salisbury Beach and the beautiful State Park Reservation. Built in armoire for your television above the gas fireplace makes the living room the perfect place for those cooler beach days. Kitchen opens to dining room, bedrooms and baths are generously sized. Watch the sunrise and sunset from your two decks of the kitchen and the living room. Nothing to do but move in! Come home and enjoy the fresh ocean air. 2 carport parking. Beautiful 2 bedroom townhouse with 2 full baths, new wood floors throughout first floor being installed, open concept kitchen dining area, granite counters, stainless steel appliances, partially finished basement with enormous amount of storage area. 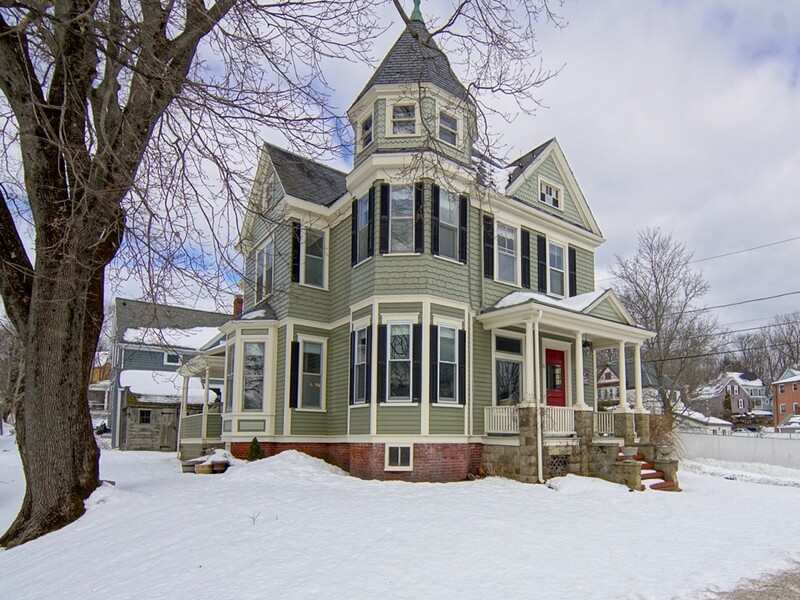 Lovingly restored and beautifully maintained, this turn of the century Queen Anne Victorian will charm you with its modern amenities, bright and airy rooms, soaring ceilings, period details and architectural delights. Walking distance to town, restaurants, shopping, services and schools, this 4 bedroom, 2.5 bath home features gorgeous wood floors throughout, crown moldings, stained glass windows, updated kitchen with custom cabinets, breakfast bar/island, stainless steel appliances and wet bar. Just off the kitchen, the dining, living and family rooms flow seamlessly together, providing an open concept feel-perfect for entertaining or cozy family gatherings. 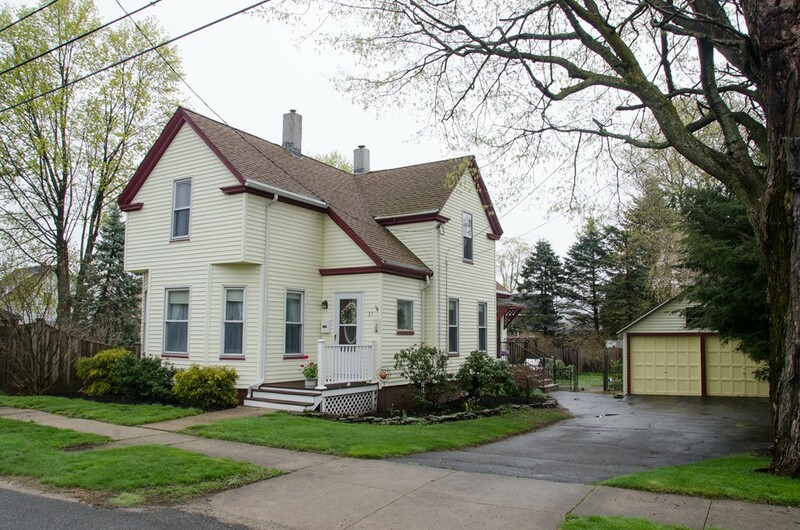 Generous sized bedrooms, two full baths and walk up attic complete the second floor. Many recent upgrades including natural gas heat conversion, new water heater, new attic windows, new vanity top and freshly painted interior and exterior. 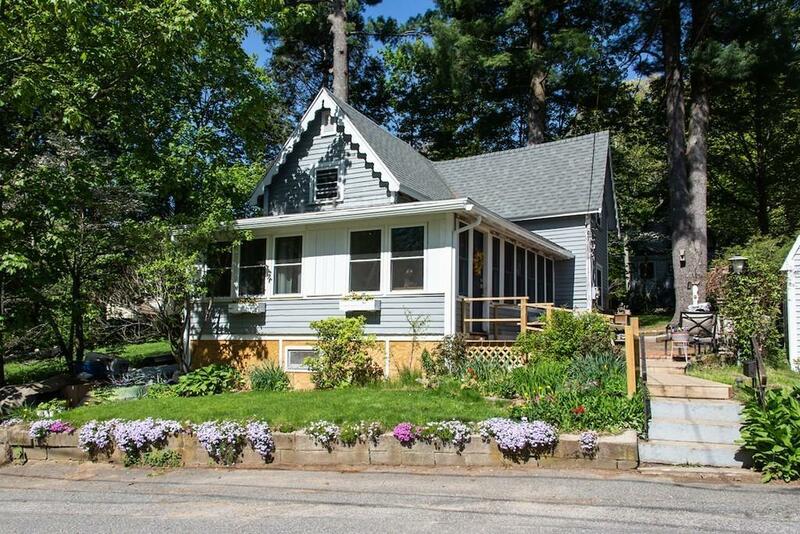 Nicely landscaped corner lot with stone wall, perennials, & inviting porches-make it yours! Remodeled one bedroom one bath unit. New appliances, counter tops, flooring. Fresh paint. No pets. No smoking in or around the property. Coin operated washer and dryer in building. 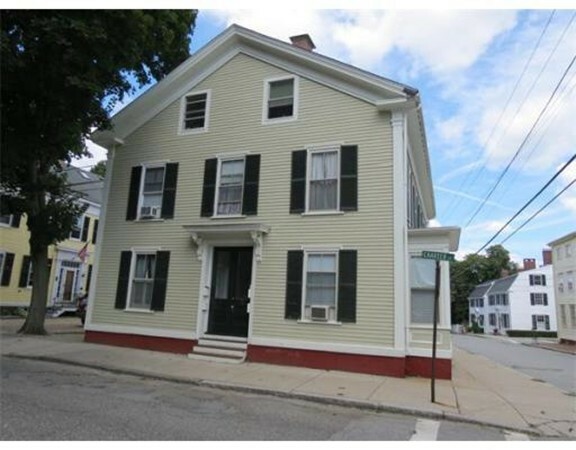 ** $150.00 deposit to the Town of Rowley for electric. Location, location, location. 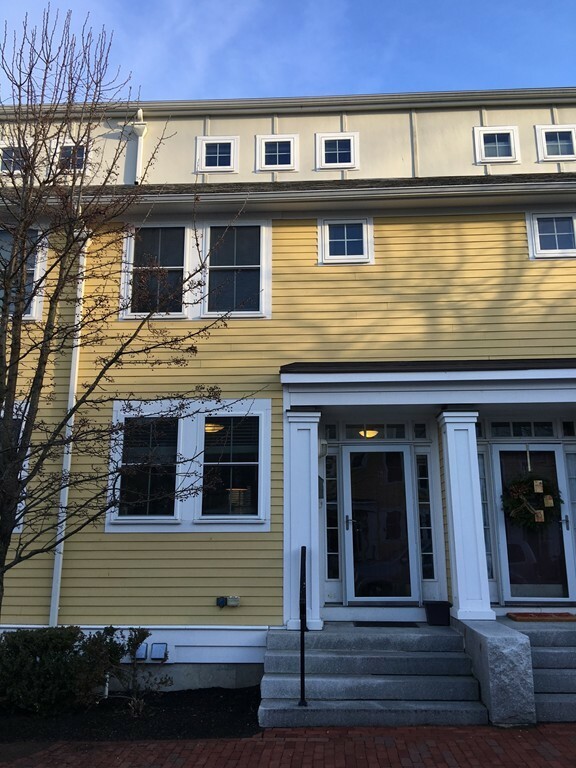 This recently-built, efficient, 3 bedroom rental is just minutes to downtown Newburyport and offers: new hardwood floors, new upstairs carpet, new appliances, in-unit washer and dryer, low gas and electric bills, deeded parking and snow removal. There is a combo kitchen/dining area on the first floor. A den/living room is in the lower level. The second floor boasts two bright bedrooms. The third floor features a large master bedroom. Out back, there is a nice patio for grilling and enjoying the warmer weather. The property is on gas and has central air. No pets. No exceptions. 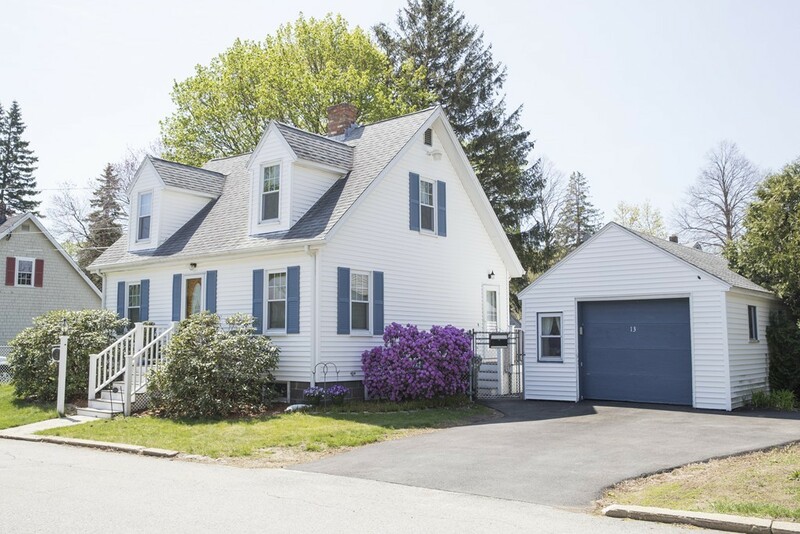 Bright and airy newly renovated single family rental in Newbury right over the line from Newburyport. This 2 bedroom, 1 bath rental has newer kitchen appliances with updated kitchen with updated white cabinets. New washer and dryer in the basement. Newly re-finished hardwood floors through out. Room for an in home office. Did I mentioned the killer level fenced in back yard? There is a one car garage with some room for storage. Tenants responsible for landscaping and snow removal. Also sofa and kitchen table to remain. No smoking. Lease is until March of 2019. Sweet condo on the first floor for rent. Very private. One bedroom and hardwood floors throughout. 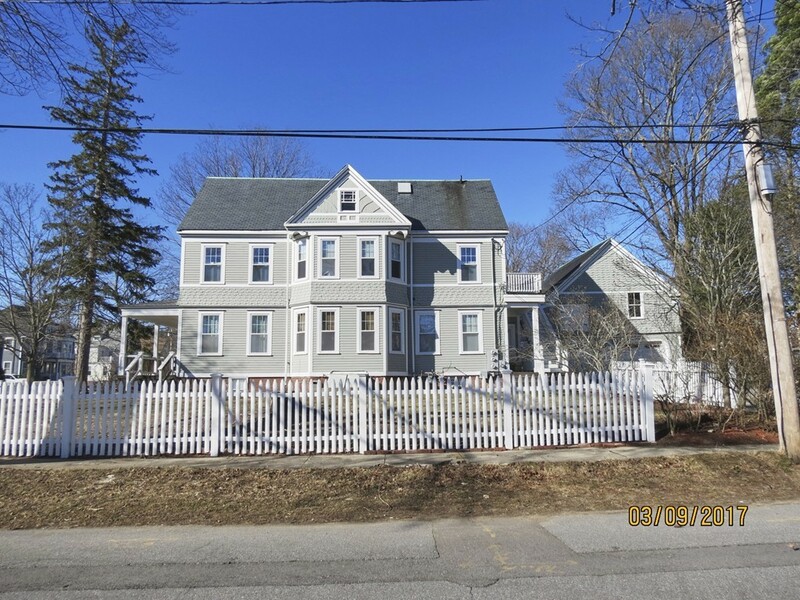 Large windows, crown moldings, Close to commuter rail and downtown and all Ipswich has to offer. Two deeded parking spaces. No smoking. No dogs. 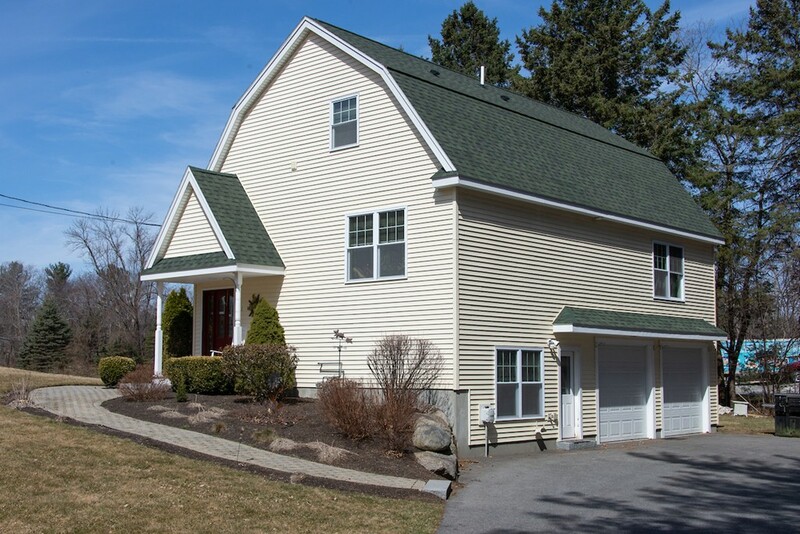 You wonâ€™t want to miss this lovely Oversized Cape home with over 3500 sq.ft. of living space! Spacious eat-in kitchen with plenty of cabinetry leading to dining room that flows into large fireplaced family room and living room, perfect for those cold winter nights. Four generously sized bedrooms, includes first floor master bedroom with master bath. Wide pine floors and beamed ceilings throughout first floor. Large loft over the 2-car garage. Meticulously maintained large rear yard, rear porch and brick patio great for entertaining! Easy access to town and all major highways. Short distance to Applecrest. Come bring your creativity and put on your finishing touches! 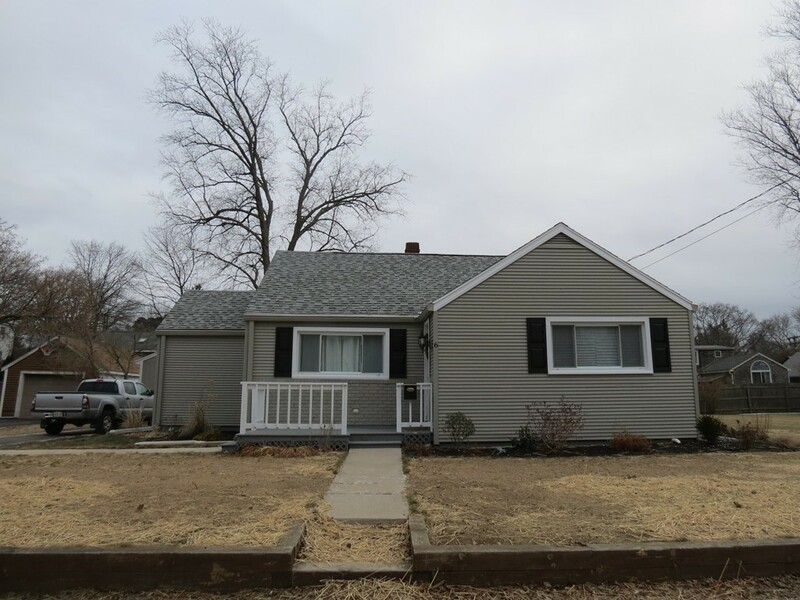 Adorable 2 bedroom ranch on the main boulevard. This 800 square foot single family has an eat in kitchen, deck off the back with a private yard. Newer systems makes this for easy renting and low maintenance. Washer and dryer in unit. Great enclosed sun porch for those summer nights. Very short distance to the river/ocean. Tenant responsible to snow removal and landscaping. Absolutely no smoking in or around premise. Half of basement used to store relatives furniture and will not be usable. Nice home on a tree lined street. This is a corner lot. This home has a good size living room with a fire place, a dining room with a slider that leads out onto the deck. It has a first floor bathroom. Kitchen has solid wood cabinets. Upstairs there is a flex room with two bedrooms off. One bedroom is front to back. The other is in the front. Updates are needed. Backyard is generous. Bright and sunny and one block off of the downtown area. 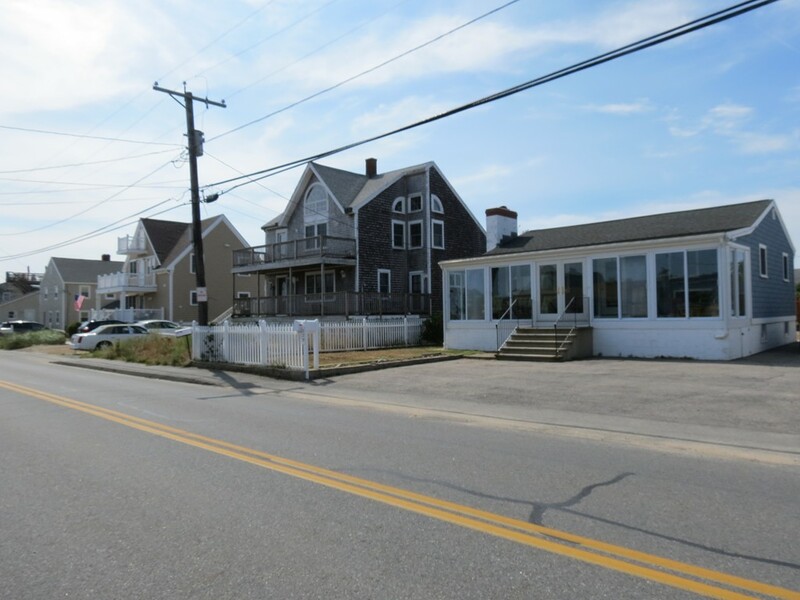 What more could you ask for to be so close to restaurants, shops and the waterfront. This condo has a kitchen with stainless steal appliances, living room and one bedroom along with an in unit washer and dryer which are newer and energy efficient. What more could you want than to be so close to the hustle and bustle of the downtown Newburyport. Absolutely no smoking in unit or around building. Welcome to this delightful and well maintained first floor 2 bedroom apartment in the well regarded Norrisbrook Condo Development. 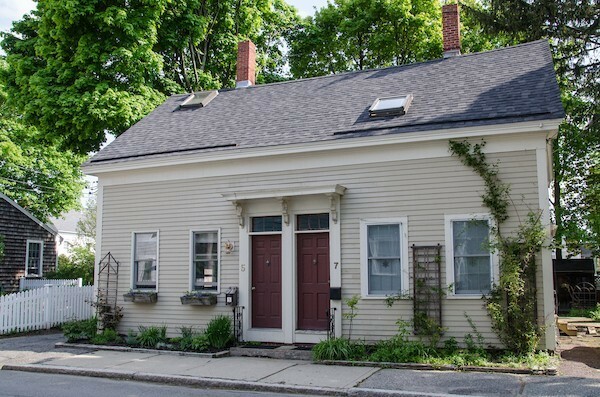 Norrisbrook represents a wonderful opportunity to take advantage of all the Exeter has to offer including the SAU16 School System, great parks, recreation, and it's historic downtown. 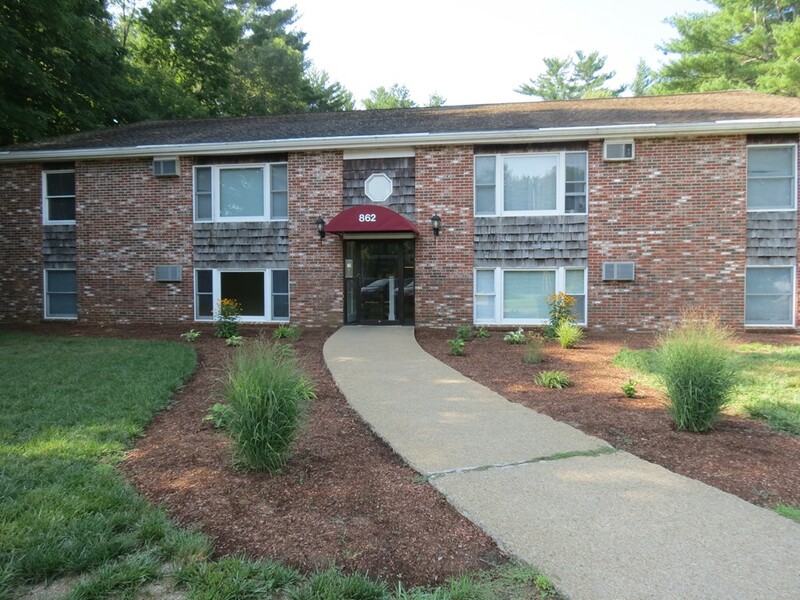 This condo not only has all the comforts of home but a great location set well back from the main road while having easy access to route 101 for easy commuting. It's close to downtown and the elementary schools as well. Grounds are nicely kept and provide a pleasant back-drop to the pool and tennis courts that are included in this association. This particular unit is a pleasure to show with pleasant views of the surrounding woods and could be your next home in a very short time. 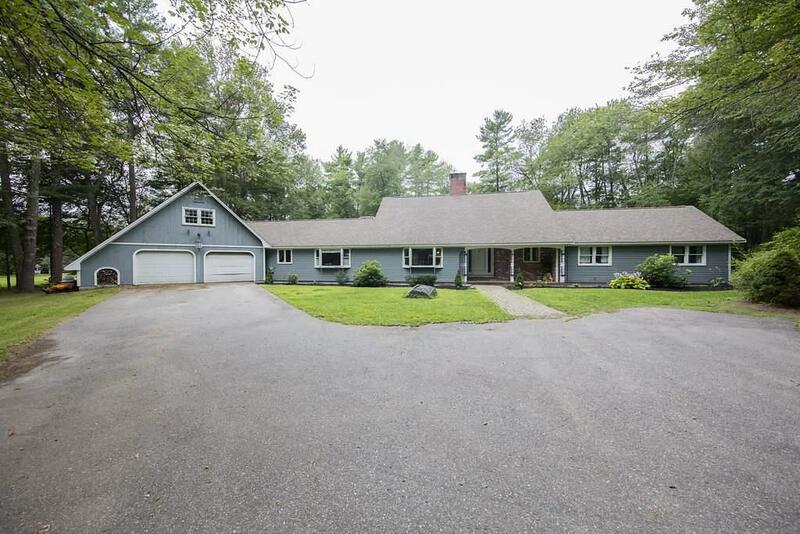 One floor living in this gorgeous 3 bedroom ranch on a picturesque 2 acre lot. Upgraded open concept kitchen with granite counter-tops. Hardwood floors with forced hot water radiant heating and a wood stove in the basement for an additional heat source. Large, private master suite with soaker tub. Attached, over-sized, 2 car garage. All in low-tax South Hampton, NH. 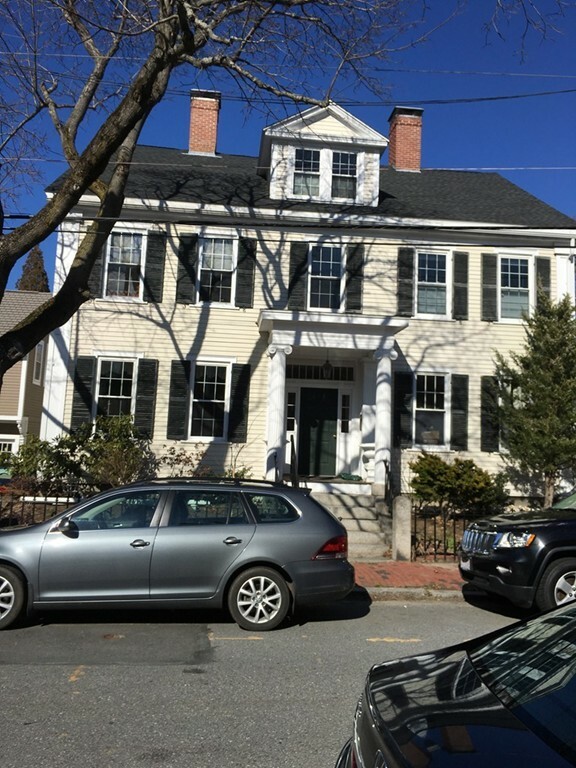 Located in the heart of the South end, a thoughtful renovation has created an artful blend of antique ambiance & modern convenience in this inviting 10 room home. On the first floor youll find a fireplaced living room, a large family room and a stunning formal dining room; the perfect spot for a sophisticated dinner party. The well-appointed kitchen features an 6 burner Thermador stove, custom cabinetry, stone counters, a casual dining area and a charming fireplace. On the 2nd floor 2 bedrooms include a gracious Master with a beautiful en suite bath with a walk-in glass shower. On the 3rd floor theres an additional en suite guest quarters nestled under the eves and ample office space. French doors off the den and kitchen take you to an expansive deck overlooking a landscaped fenced yard; just right for kids, pets and summer get-togethers. 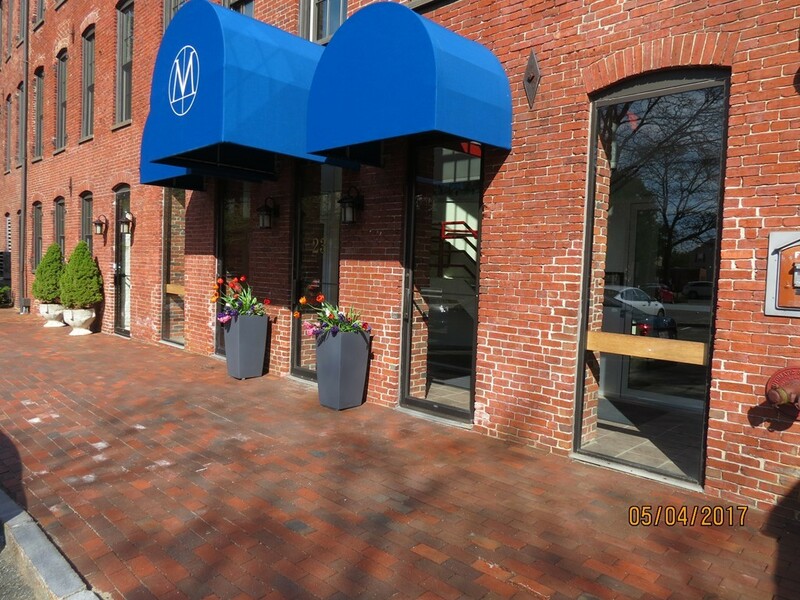 Just a short walk to downtown Newburyport restaurants, shopping, theater & the bustling waterfront. Condo for rent. 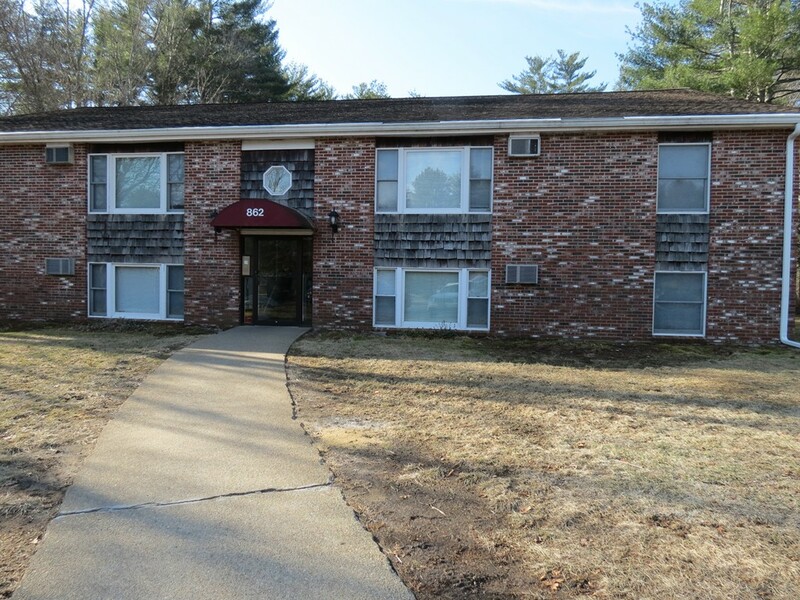 This 2100 square foot condo offers close proximity to downtown Haverhill shops and restaurants aand also close to 495 for your commute. It has 2 bedrooms and 2. 5 baths. There is a full size kitchen, dining room, living room with a fireplace, den with a pellet stove. There is an office for anyone who works from home. Tenant responsible for snow removal and landscaping. Absolutely no smoke allowed. 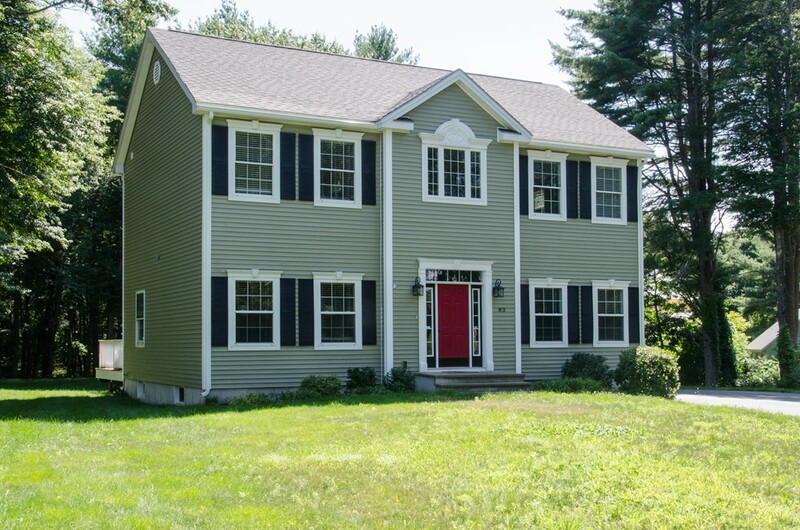 One of a kind home in Newbury, MA and its going to move fast! This 7 room, 4-bedroom home with 2 full and 1 half bath sits on an ideal lot. Beautiful hard wood flooring. Kitchen and dining room boast an open concept layout making entertaining easy and enjoyable. Kitchen is equipped with state of the art appliances and provides lots of counter space. Basement is finished and used as a family room. Gorgeous and spacious back yard complete with a deck. Call now for a showing, priced to sell! Pristine 2 bedroom, 2 bath condominium in much sought after Maritime Landing. This open floor plan condo features gleaming hardwood floors throughout. Eat-in kitchen with granite countertops and breakfast island opens into columned living room with private balcony. In-unit laundry room with washer and dryer to stay. 1-under heated parking space and extra storage space. This building features a Fitness room, Media room, Recreational room, along with a Club room. Perfect location for commuting, close to Rt. 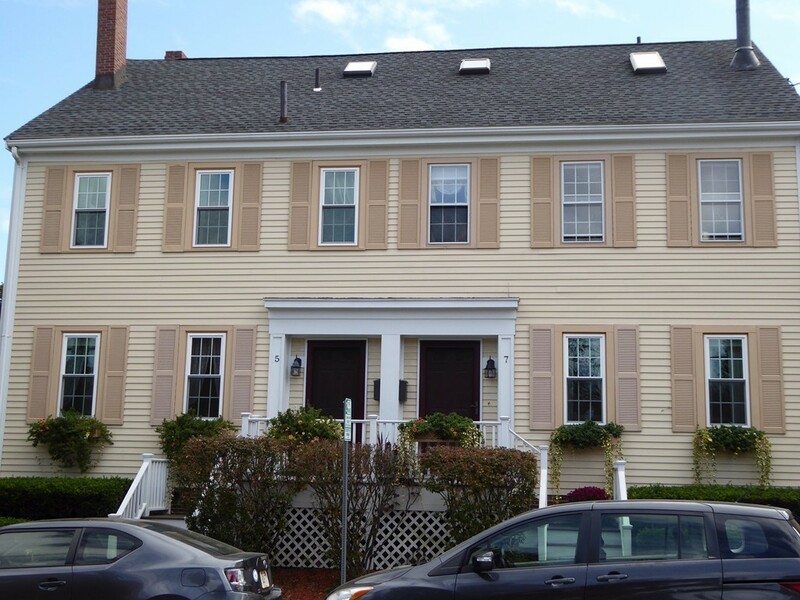 95, shopping, close proximity to beautiful downtown Newburyport, Plum Island, New Hampshire and Maine. 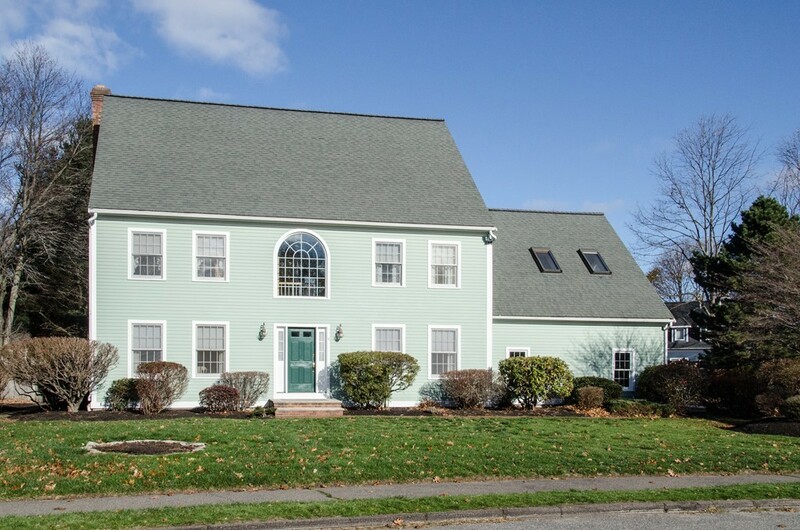 Great location right in the heart of Newburyport. 1 off street parking, close to restaurants, shops and parks. Newburyport is a great area with lots to offer. Close to Route(s) 95 and 495 plus the T-station and bus station. Nice views. No pets. No smoking. . 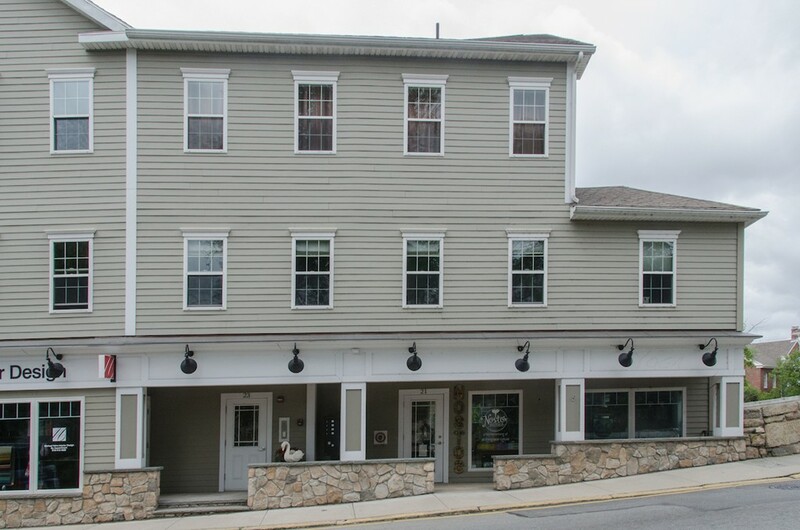 Excellent condo in a prime location in downtown Ipswich. 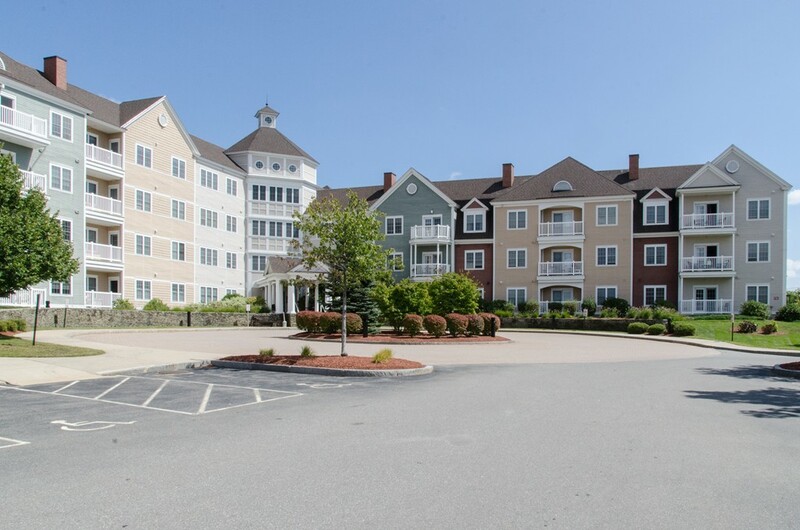 Located right in the mix of everything including shops, restaurants, coffee shops, the commuter rail, the beach and schools. This one bedroom, one bath condo has beautiful hard wood floors throughout and has a lot of inspiring natural light. Kitchen cabinets are white and on trend with stove and refrigerator included. The building is located right on the water and nearby the popular town Riverwalk. Call now for a showing, this property wont last! Spectacular location in Newburyport's picturesque city. This third-floor, one bedroom condo is ideally located in the heart of town. With an open concept floor plan and an updated & bright kitchen, entertaining has never been so easy! Condo offers beautiful hardwood floors, high ceilings and a charming tiled bathroom. The building has on-site professional management, an elevator and laundry. One assigned off-street parking space. 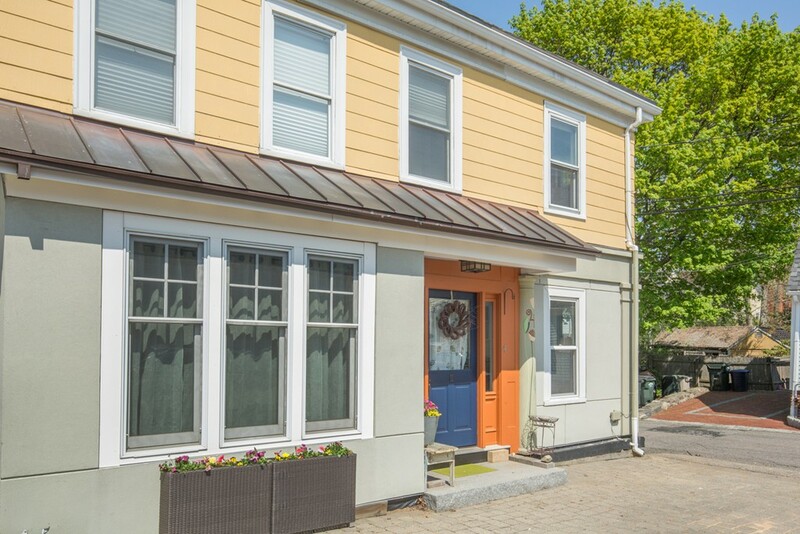 With shopping, restaurants, parks, beaches and a commuter rail nearby it is an excellent opportunity to get into this highly sought after neighborhood and city. This three-bedroom townhouse is a great opportunity for townhouse living! Lots of windows and natural light. Master bedroom has an attached bathroom. Impeccably maintained and cared for this town home has beautiful hard wood flooring, a front porch and back deck and two full bathrooms and one half. Kitchen has granite counter tops and stainless steel appliances. Back yard is large and has been cared for. Located in a wonderful neighborhood. Priced competitively and will go fast! Assessor states 1400 s.f. however, recorded floor plan states 1680. This is the home you have been waiting for! 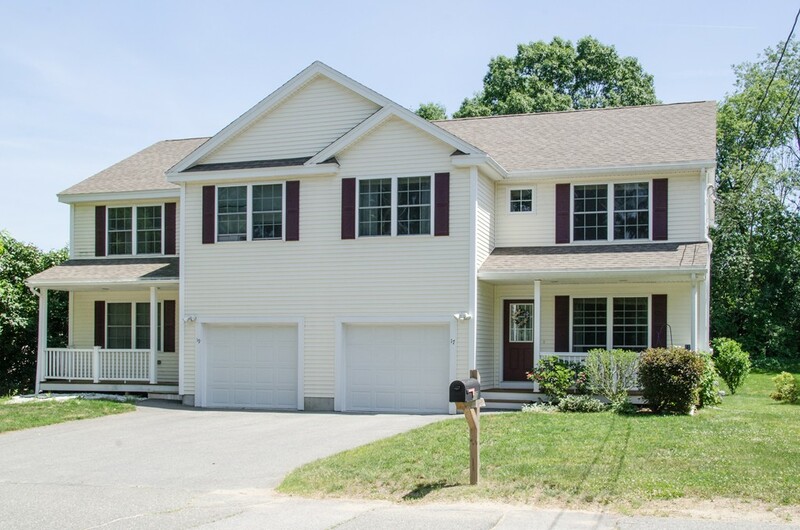 The location near schools, shopping, and parks makes this Contemporary Colonial, featuring 4 bedrooms, 3 baths, media room, and home office highly desirable. Both the interior and exterior layouts of the home set the ambiance perfectly for entertaining any size gathering in a welcoming environment. The totally renovated kitchen, complete with beamed ceilings, stainless steel appliances, granite counter tops, and center island and the updated master bath with a glass walk-in shower must be seen to be appreciated. The sprawling backyard oasis with its beautiful landscaping is one-of-a-kind! With an in-ground pool and large deck area for hosting parties or for just lounging around and relaxing, you will feel like you are always on vacation. A full-size basketball court for fun rounds out the exclusive features this home has to offer. Dont delay call today for your private showing. 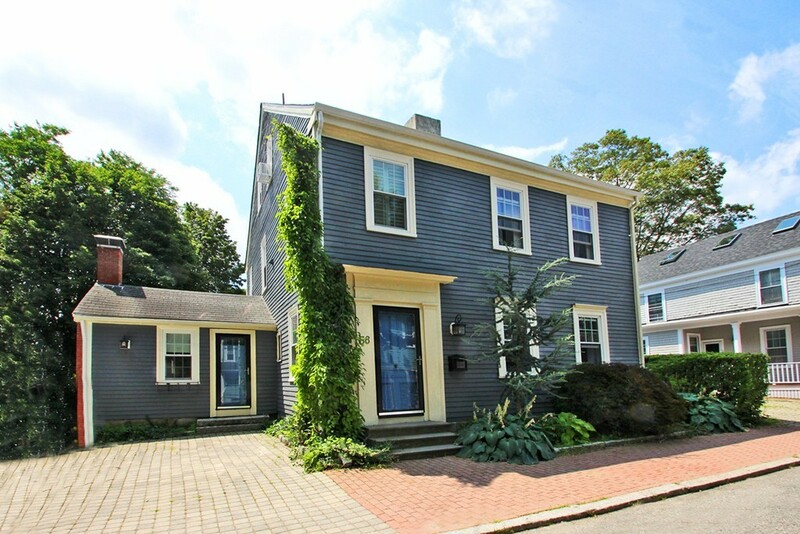 Wonderful opportunity to live in a highly sought after neighborhood in Newburyport! This 3-bedroom duplex is a real gem with the added benefit of modern amenities. 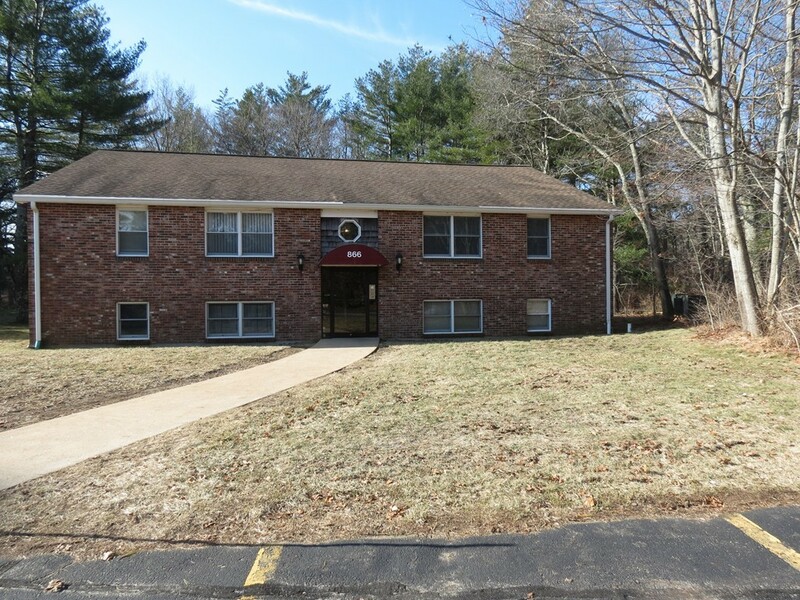 Side by side units and two floors including a full basement. Brick charm and detail throughout and gorgeous hard wood flooring. This unit has been impeccably maintained and has a beautiful back yard perfect for outdoor entertaining in the warmer months. Location is nearby all of Newburyport's best attractions including downtown, beach, shops & restaurants and more. Just steps to the newly done rail trail that will bring you into the heart of downtown in minutes. This will go fast, schedule a showing today! Highest and best offers due by Tuesday at 1:00 p.m. 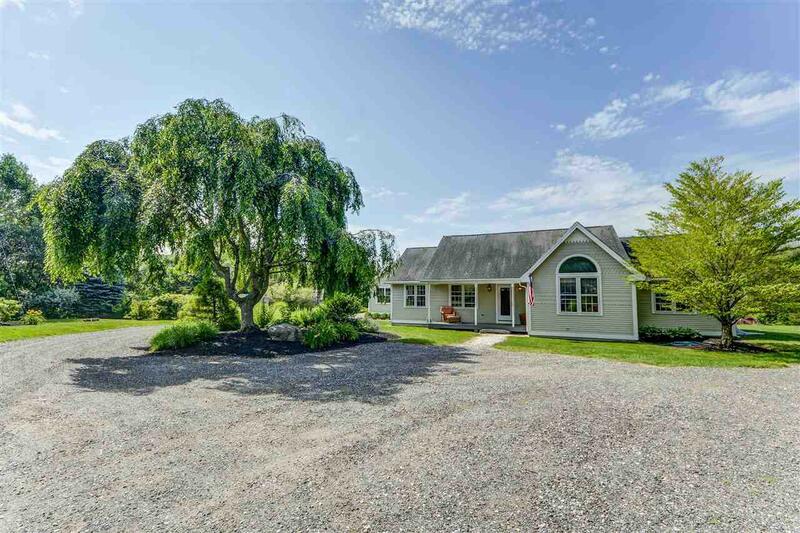 This New England farm style home has so much to offer. The first floor has gleaming hardwood floors throughout, a living room that has a gas fireplace, a den, dining room and kitchen. Also first floor bathroom off the kitchen. Laundry is also on the main level. Three generous bedrooms with hard wood floors are on the second floor with plenty of storage in the attic. Oversized large yard with 2 garage detached garage. 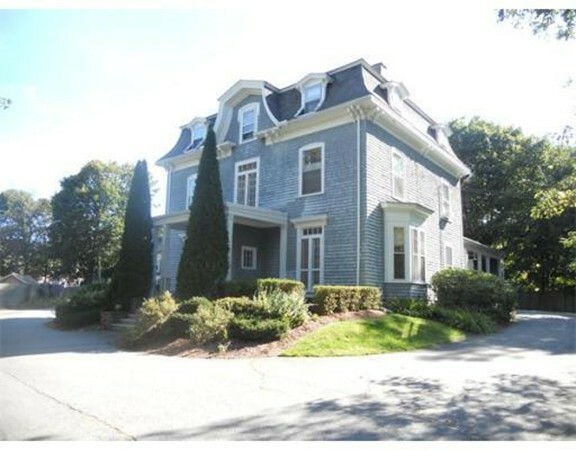 Beautiful Victorian condo for rent in a great neighborhood in Amesbury. Located conveniently in the Highlands, this 7 room 2-bedroom condo is a rare find. This unit has been immaculately maintained. Beautiful, hardwood floors throughout and granite countertops in the kitchen. Has the convenience of a dishwasher, in-unit laundry, 2 off-street parking spots and a deeded garage space. Unit also offers an office. Private deck off of the kitchen making indoor/outdoor living easy during the warmer months. This condo is a renters dream and will go fast! Great opportunity to live in a 3 bedroom condo close to downtown! 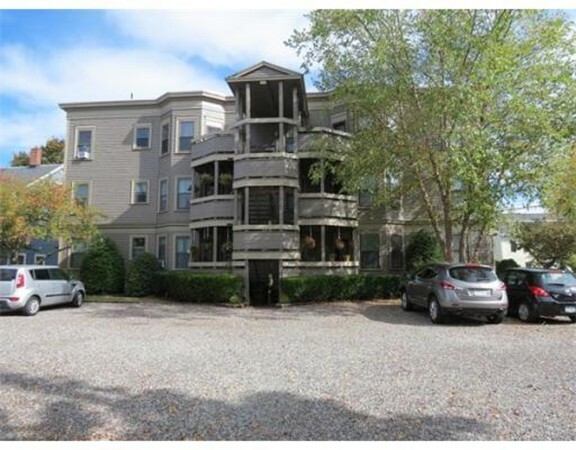 This 2 level townhouse is located in the Whitehall Lake Condominiums right on the water. 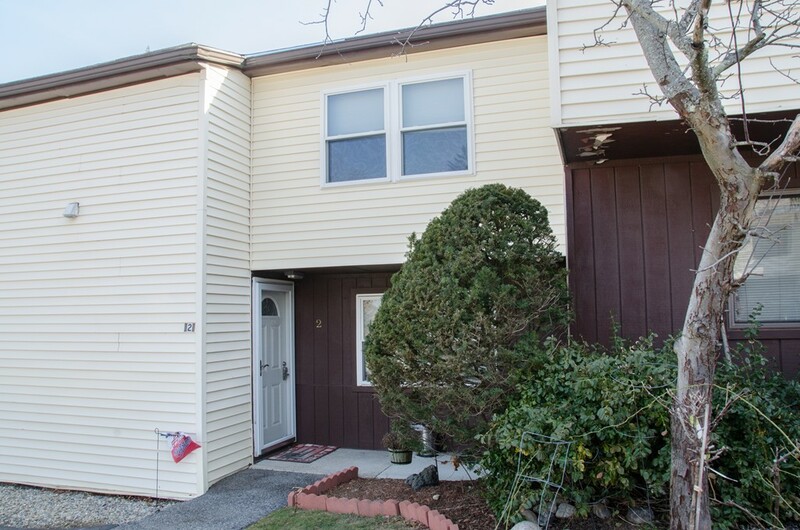 Condo boasts 1 full & half bath, an updated kitchen and a deck. Enjoy open concept living making entertaining easy and fun. Convenient amenities: stainless steel appliances, a dishwasher and laundry on the second floor. Kitchen has granite counter tops and beautiful pine cabinets. Professional off sight property management making maintenance easy and worry free. Dont miss out, schedule a showing today! Portions Copyright © 2019 Petey Mitchell. Portions Copyright © 2001-2019 iMaxWebSolutions.com.